Home / SUPERHEROES / TALK OF THE TOWN / "Wonder Woman" Soars at PH Box Office with P233-M in 4 Days! "Wonder Woman" Soars at PH Box Office with P233-M in 4 Days! 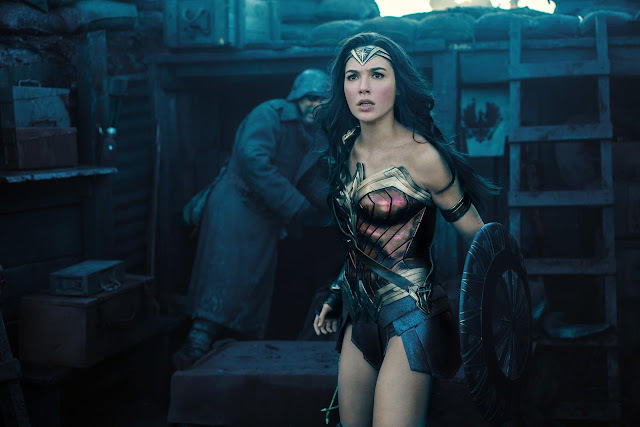 MANILA, June 5, 2017 – One of the best-reviewed and most-anticipated Super Hero movies of all time, director Patty Jenkins’s epic action adventure “Wonder Woman” soared to the top of the Philippine box office on its opening weekend, earning a record-shattering P233-M, and still climbing. The Warner Bros. Pictures release, which stars Gal Gadot as Diana Prince / Wonder Woman and Chris Pine as her ally Steve Trevor, marks the global icon’s first-ever solo feature film and the first female-led big screen adventure of the modern superhero era. The announcement was made today by Francis Soliven, General Manager of Warner Bros. Philippines. The massive weekend figures have given “Wonder Woman” the country's biggest female superhero movie opening of all time, and the biggest opening for a foreign movie directed by a woman (outgrossing “Fifty Shades of Grey” at P94.5-M). Other notable records achieved were the second biggest opening weekend for the year (surpassing “Guardians of the Galaxy Vol.2” at P159-M); fourth biggest June opening weekend all-time (ahead of “Transformers: Dark of the Moon” at P210-M) and second biggest opening weekend ever for a Warner Bros. (overtaking “Batman v Superman: Dawn Justice at P162-M for a two-day weekend). Globally, “Wonder Woman” is the weekend’s greatest box office draw, taking in $223 million worldwide, and counting. 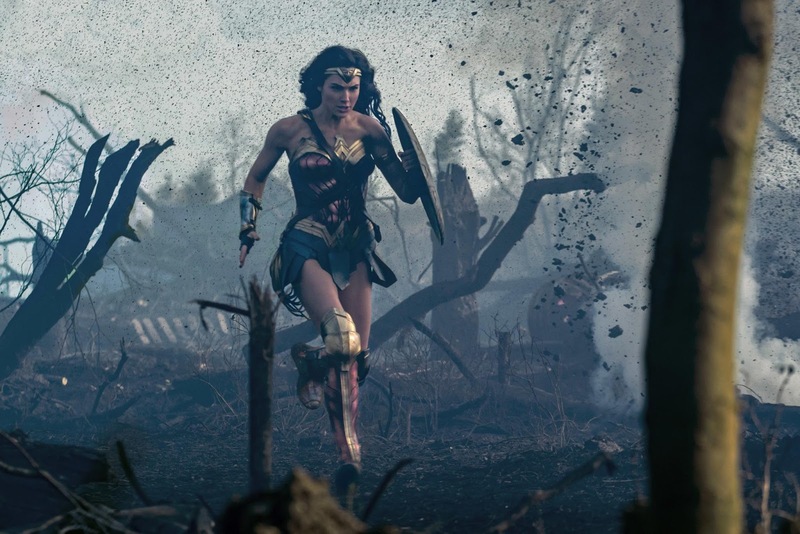 The impressive global total makes “Wonder Woman” the largest female-lead superhero movie opening of all time, the biggest opening in June for a superhero movie, and the biggest opening in June for a Warner Bros. film. With a Certified Fresh rating of 93% on Rotten Tomatoes, the film is also one of the best-reviewed superhero films ever, and its CinemaScore of A shows audiences agree. In the US, the film has grossed $100.5 million and has the highest opening weekend box office of all time for a female director. Back in the Philippines, the ten topgrossing cinemas are SM Megamall (P9.52-M), SM Mall of Asia (P9.39-M), SM North EDSA (P9.36-M), Trinoma (P7.43-M), Glorietta 4 (P5.49-M), SM Cebu (P4.65-M), Theatremall (P4.20-M), Power Plant (P4.12-M), Greenbelt III (P3.96-M) and Uptown Taguig (P3.75-M). In the top twenty rankings are Gateway (P3.61-M), Shang Cineplex (P3.45-M), Eastwood (P3.42-M), Alabang Town Center (P3.36-M), Ayala Cebu (P3.30-M), SM Southmall (P3.29-M), Robinsons Magnolia (P3.21-M), SM Seaside Cebu (P3.16-M), SM Aura (P3.15-M) and Fisher Mall (P2.91-M). Gal Gadot returns as the title character in the epic action adventure from director Patty Jenkins (“Monster,” AMC’s “The Killing”). Joining Gadot in the international cast are Chris Pine, Robin Wright, Danny Huston, David Thewlis, Connie Nielsen, Elena Anaya, Ewen Bremner, Lucy Davis, Lisa Loven Kongsli, Eugene Brave Rock and Saïd Taghmaoui. Before she was Wonder Woman, she was Diana, princess of the Amazons, raised on a sheltered island paradise and trained to be an unconquerable warrior. When an American pilot crashes on their shores and tells of a massive conflict raging in the outside world, Diana leaves her home, convinced she can stop the threat. Fighting alongside man in a war to end all wars, Diana will discover her full powers…and her true destiny. Now playing across the Philippines, “Wonder Woman” is distributed worldwide by Warner Bros. Pictures, a Warner Bros. Entertainment Company.